"They were forcing medications on her. This is about the right to refuse." Sony Pictures has debuted a new official trailer for an indie drama titled 55 Steps, telling the true story of a woman named Eleanor Riese, a mental illness patient who brought a class action suit to give competent mental patients the right to have a say in their medication while they're in a hospital. The current title, 55 Steps, is a reference to the amount of steps in the hallway at the hospital. 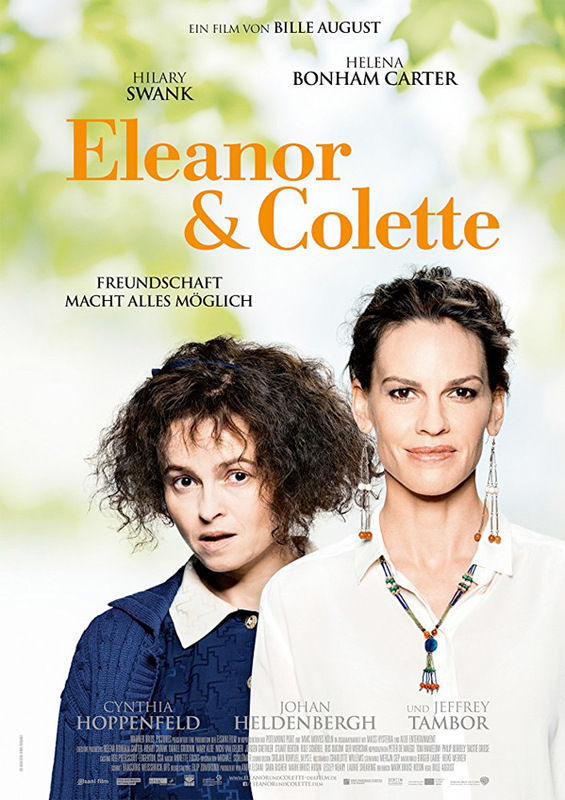 The film has also gone under the title of Eleanor & Colette in other countries. Helena Bonham Carter stars as Eleanor, and Hilary Swank stars as Colette, her lawyer who becomes a good friend. The cast includes Jeffrey Tambor, Richard Riddell, Johan Heldenbergh, Michael Culkin, Jonathan Kerrigan, and Tim Plester. The film originally premiered at TIFF last year. 55 Steps is based on the inspiring true story of Eleanor Riese, a mental illness patient herself, who brings a class action suit to give competent mental patients the right to have a say in their medication while they're in a hospital, and Colette Hughes, the lawyer appointed to her case. 55 Steps, also titled Eleanor & Colette, is directed by Danish filmmaker Bille August, of many films including Zappa, Pelle the Conqueror, The Best Intentions, The House of the Spirits, Jerusalem, Return to Sender, Night Train to Lisbon, and Silent Heart previously, as well as The Hidden Soldier. The screenplay is written by Mark Bruce Rosin. This first premiered at the Toronto Film Festival last year, and played at the Moscow Film Festival. Sony will release 55 Steps in select theaters starting November 16th, after playing VOD starting October 16th next month.